Busy week of midterms, and work but I'm cleared through the woods and I have the entire week off since! Here goes nothing trying to scrap something quick before episode sixteen is released. Wasn't too sure of what to expect coming off of Tatara and Chinatsu's D-class rank up, but this episode took me by surprise. 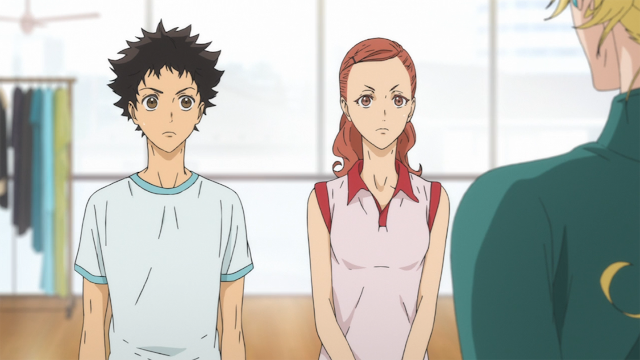 Tatara exposed as he stepped afoot into Hyodo Social Dance Academy by Marisa and Kiyoharu as a leader who can't lead properly. Though we already knew this, Tatara just got served truth tea that he can't lead properly. Doesn't make too much sense to me since it seemed like Tatara led properly when he was paired with Mako, and when he was with Shizuku at the Misaka cup. Sengoku was commenting that he was able to lead Shizuku properly when they were dancing their botched waltz too. It's a bit inconsistent, but I guess the general census is that Tatara can't lead properly. Rightfully so since Sengoku hasn't really devoted that much time into properly training him, he's only been dancing for a few months, and he's never really had a permanent partner to practice with. 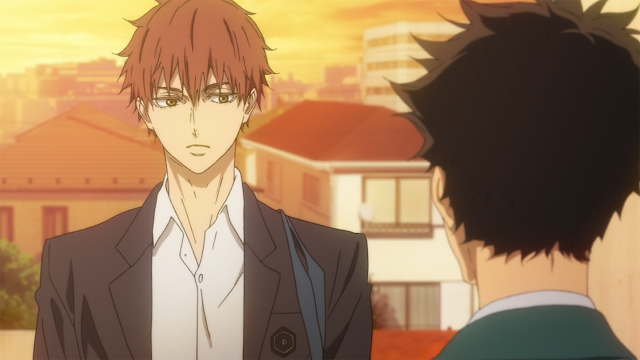 Now the part that swept me off my feet was when Tatara told Sengoku that he was departing from Ogasawara Dance Studio and he'll be trained under Marisa from Hyodo Social Dance Academy. 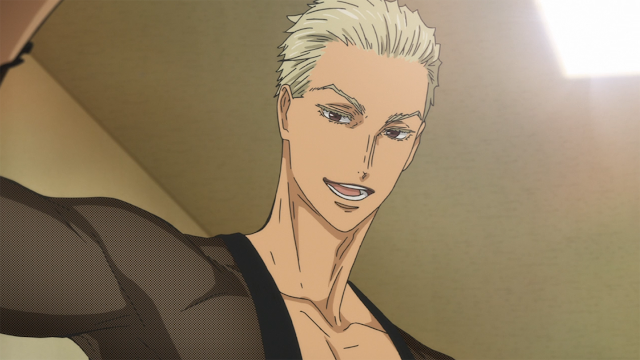 The logistics of Tatara's move made sense since Sengoku's still doing competitive dance himself and can't devote enough time for Tatara. However.. the two of them built such an unusual, friendly, and loving bond together that it was disappointing to see that bond sever. I was like, "nooooo :(," after the scene where Tatara got off the subway. It was almost as sad like when Jotaru and Jolyne were separated at prison near the beginning of Stone Ocean. If anything, this is a good move for Tatara since it demonstrates that he's taking ballroom dance seriously by being trained and supervised by someone who can devote more time into correcting his dancing skills. 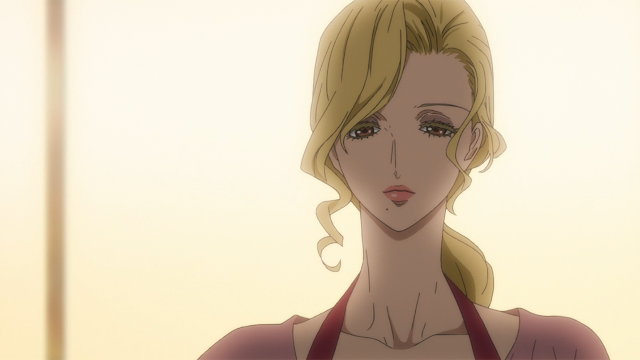 A bit off tangent but I do want to touch base on the pacing of Ballroom e Youkoso up to now. I find it quite fast how we're jumping from competition to competition, and we don't get to see everything in between - but I personally find it fine. From the first episode I was invested into the anime, and I enjoy that we're seeing the main parts of the manga being adapted into an anime. Some people might not like that, since we miss some character development, but I'm okay with it. Since the anime is close to catching up with the manga, I'm cool with packing in as much of the original source as possible, I wouldn't want the final episode to end on a cliffhanger (which I don't think ti will). That being said, I'm ready for episode sixteen, and Tatara stabbing Marisa in the back by entering the Grand Pix. I want Chinatsu to meet Kiyoharu and Shizuku already!